If you have been in an accident involving a car, truck or other motor vehicle, the first thing that you should do is seek medical attention. Next, you should contact an experienced California personal injury attorney. 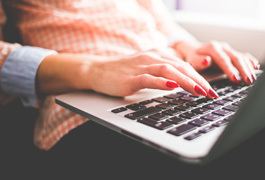 By contacting an attorney early on, you will likely have a better chance of preserving key evidence and more time to obtain police records and interview witnesses in order to assemble a strong case. 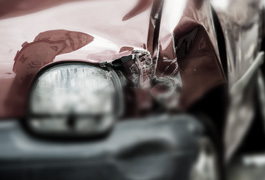 Car accidents are some of the most common motor vehicle accidents in San Diego County. The roads can be very dangerous in Southern California after a rain storm because of the build up of oils and sediments on the roadways. If you were injured in a car accident in the San Diego area, click here for more information. All trucking companies are required to follow a strict set of complicated state and federal laws. If you or a loved one has been involved in a trucking accident it’s imperative to contact an experienced motor vehicle accident attorney immediately. If you were injured on the job, you may be entitled to a workers compensation claim. Due to the complexity of these types of laws you’ll need someone you can trust, click here to contact the law offices of Steven Brian Davis. Motorcyclists are entitled to their rights. If you or someone you know has been hurt in a motorcycle accident, the most important thing to do after seeking medical attention is to call a motor vehicle accident attorney. If the other party is at fault you are entitled to receive compensation for hospital and medical bills, lost wages and suffering. Steven Brian Davis has over 35 years of experience defending motorcyclists, call him today at (858) 451-1004. Boating and watercraft accidents can lead to serious injuries and even death. Some common forms of watercraft accidents include collisions with other water vessels or structures, explosions, capsizing and fire. These accidents can be caused by a number of factors. If you or a family member has been hurt due to someone’s negligence contact a motor vehicle accident attorney right away. Poorly manufactured tires are dangerous and can cause catastrophic accidents. Unfortunately, every major tire manufacturer has recalled their tires at some point. If you or a loved one has been injured or killed due to faulty tires you could be entitled to compensation. A motor vehicle accident attorney will pay a crucial key in seeing that justice is served. Your medical condition — Motor vehicle accidents cause injuries that range from whiplash to serious, life-long physical injuries and even death. Medical treatment and your recovery is our first concern. Responsible party — The accident scene requires investigation to assess the vehicles or other factors involved, as well as components like weather, the drivers and possible witnesses. We will ensure your accident is thoroughly investigated to find the party at fault, determine what is needed for recovery and pursue your case. Property and lost wages — Once we have evaluated damage to your vehicle and other property involved, we help you get the compensation to repair or replace the damaged property. If you are unable to work due to your physical injuries, we fight to help you recover costs for loss of income and, in some cases, loss of future earnings ability. Workers compensation — When you have been in a truck or car accident on the job, we aggressively work to fight for your rights. We ensure you are treated fairly and we will seek full compensation. There may be several entities involved with a workplace injury in addition to your employer. You do not have to handle your situation alone, contact us for the help and support you deserve. If you or a family member has been involved in a car accident in California, contact the Law Offices of Steven Brian Davis to protect your legal rights. Call 858-451-1004 or e-mail us by clicking here. 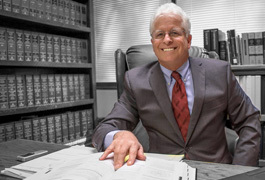 Steven Brian Davis has been handling car accidents for 30 years.